Additional Information: A mask in the form of a human face with scarification patterns on each cheek. 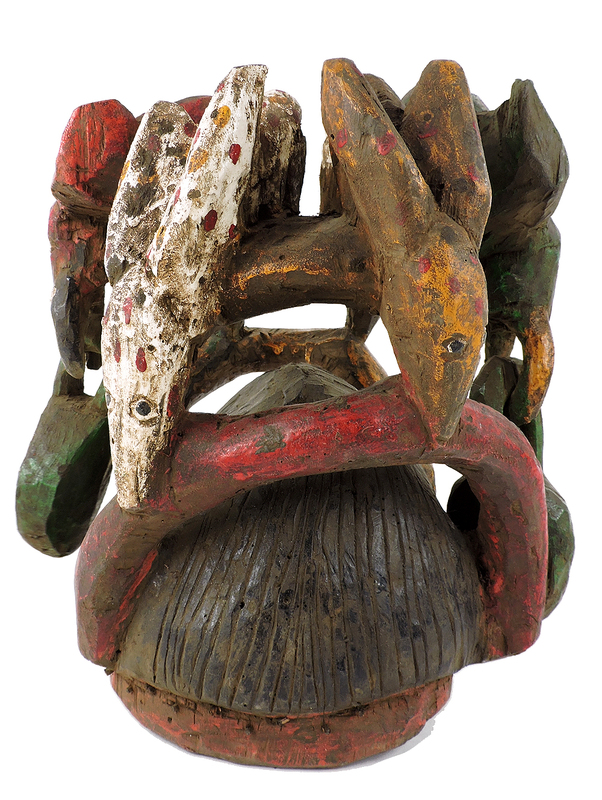 An intricate connection of animals adornes the top of this mask, painted in multiple bright colors, with two hanging appendages. 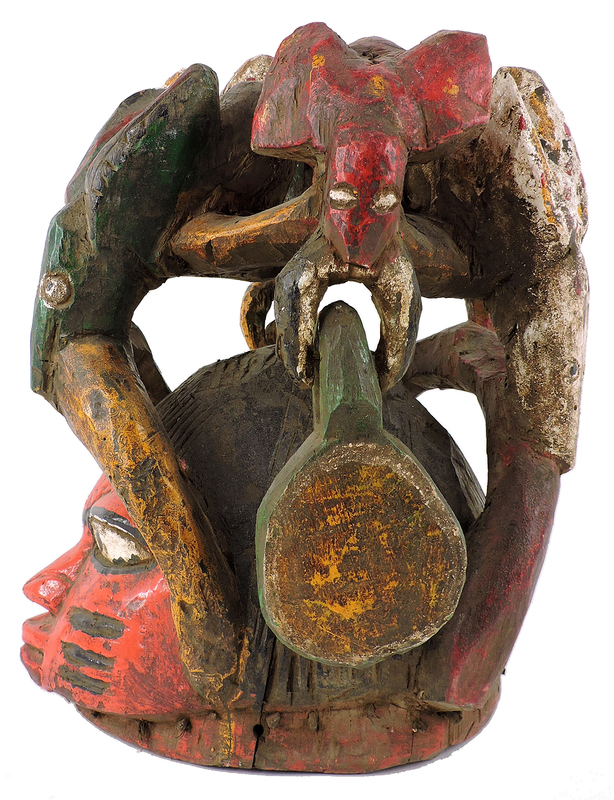 Among the Yoruba Gelede masks dance of the ‘mothers’, good witches who propitiate and control the power of the ‘bad’ witches who fly at night causing human misfortune, illness, and death. 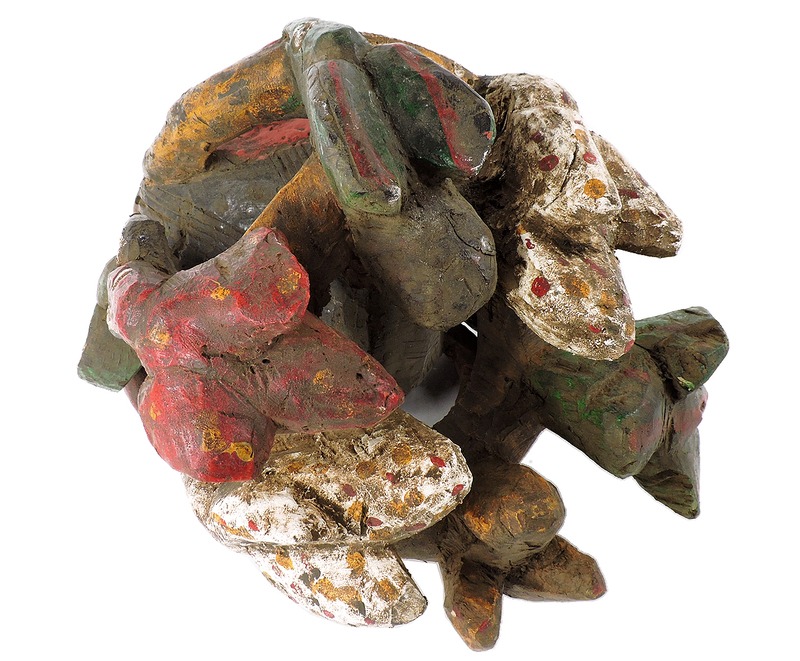 When Gelede appear, they dance in pairs in a tightly structured and complexly choreographed dance accompanied by singing and drumming. 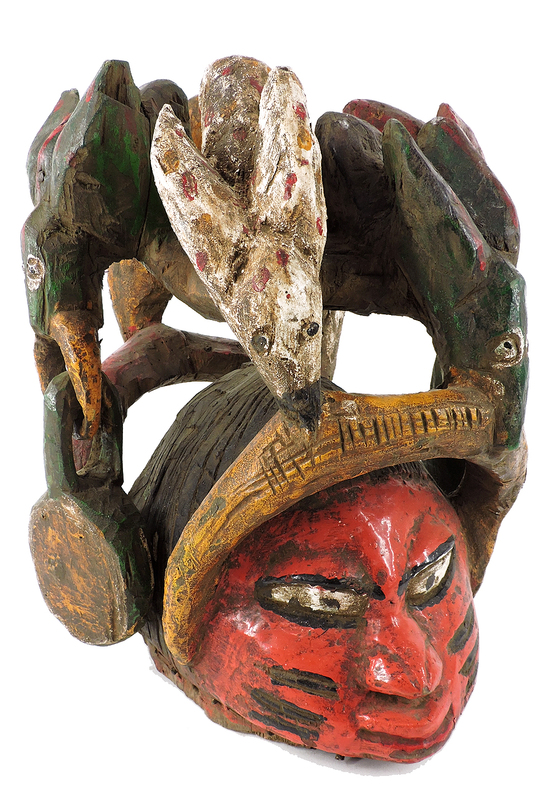 Most ‘witch-catching’ Gelede masks are carved from a single piece of wood to be worn on the top of the head over the forehead with a multi-colored costume made up of numerous panels of brightly colored cloth completely covering the body from head to foot. The panels of cloth will flare outwards while being danced giving the dancer a dynamic appearance. Gelede performances may extend over a number of days with different dance forms and movements. When performing the masks dance as a coordinated pair often with mirror-like movements during in an athletic and vigorous dance that often interacts with the audience. Their energetic dance steps will often kick up the dust so that they appear to float above the earth and the anklet bells that they wear reinforce the rhythm of the music. 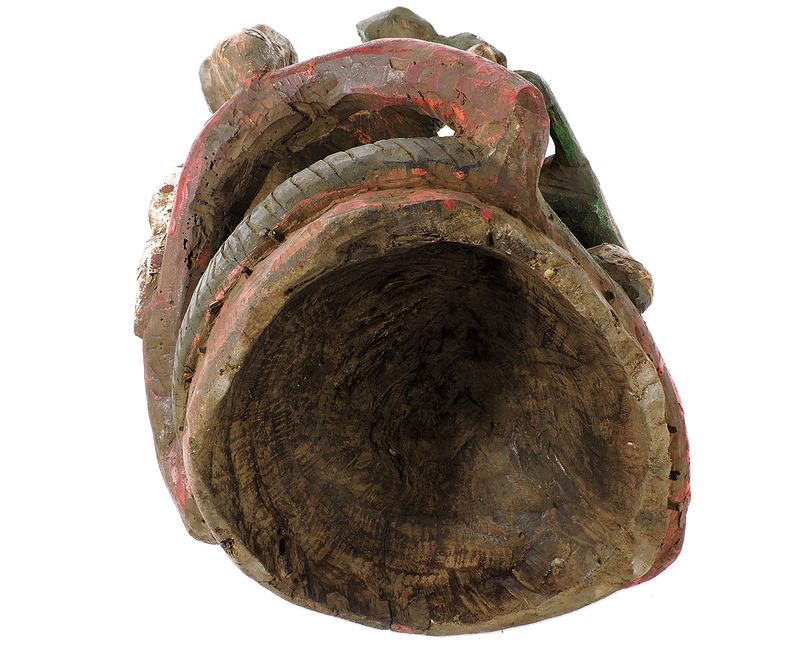 Gelede masks will also reflect local traditions of facial marking and symbolic headdress whereas this example brings to mind the beautiful and classic sculpted heads of ancient Ife.